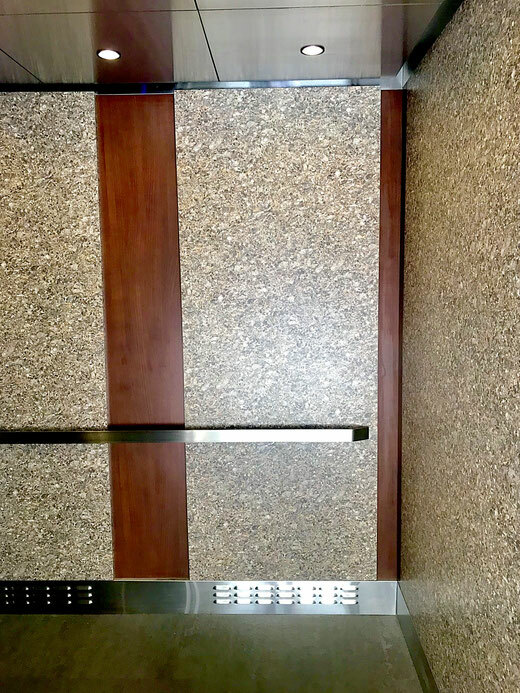 Residential Elevator Interior update in Downtown Tampa, FL. 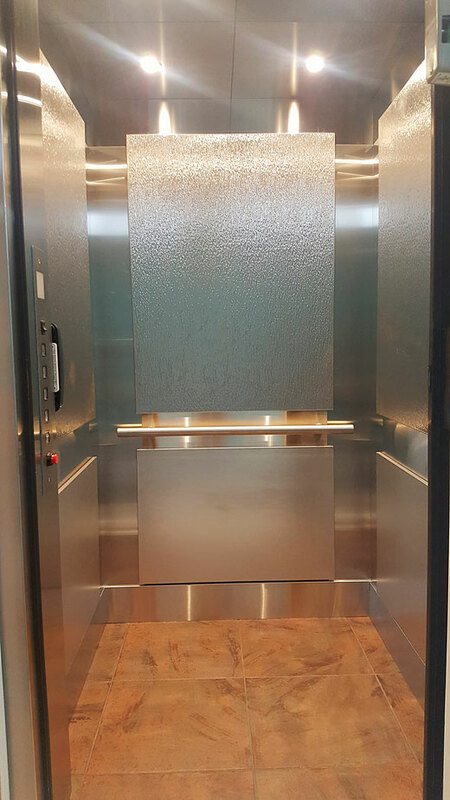 Customer wanted a bright, modern looking elevator, and he loves the look of stainless. We consulted with him, and settled on a selection of two different patterns from Rigidized Metals. CS1 is the pattern employed on the upper panels, and Sandtex is the pattern used on lower panels. Our customer was thrilled with the result, and so are we. This customer had a graphic designer on the board of directors who assisted with the choice of design and colors in this elevator cab remodel. The graphic designer worked closely with us to get an update that worked with what the community needed. An often overlooked part of the process is consideration of who and how the elevator is used. When a community has a higher percentage of renters, or lots of carts used to bring up groceries, or deliveries and the car is smaller in size, we need to maximize the space. Jools wanted to give the elevator some style without losing much space. The design we came up with employed "flat-lam" side wall finishes (no edges/corners to be damaged by carts or furniture moving in and out), but gave the car some style by adding raised panels to the rear walls. Jools decided to use a bold, contrasty, and colorful choice of laminates and what we came up with was a beautiful result.